When a product is recommended by an expert, there’s a 100% probability that it’ll sell like hotcakes. As consumers highly believe and patronize recommendations and opinions of gurus in certain fields most especially in the beauty industry. And, when they vouch on product that can help you double up on beauty, that product is indeed a must-have. 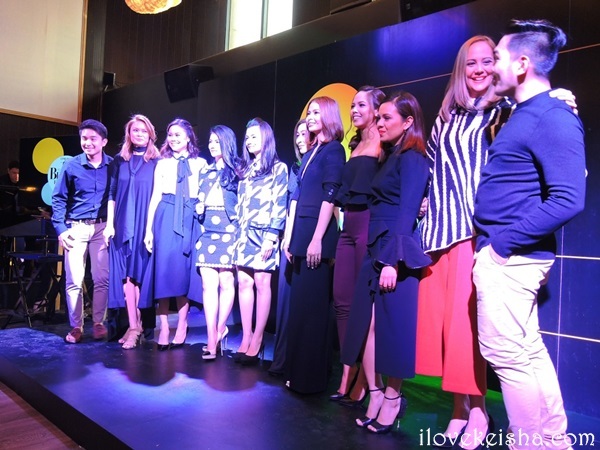 Allow me to share with you the products shared and recommended by beauty experts that will allow you to double up on beauty and will make you look from good to great in an event held at Gramercy 71 hosted by Sarah Meier. First on the list is Cream Silk Daily Treatment Conditioner. It’s not a secret on how style savvy Filipinas experiment on their hair. Blow-drying, ironing, perming, rebonding, coloring, who’s not guilty to any of these? Sad to say, in our journey to get that gorgeous locks, we expose our hair to harsh chemicals causing it to be dry and frizzy. Good thing, there is Cream Silk Daily Treatment Conditioner to the rescue that combines the intensive care of a treatment and the smoothness from a conditioner in one. Now, we no longer have to worry about dry and dull hair as the daily treatment and conditioner we need is combined in one tube. 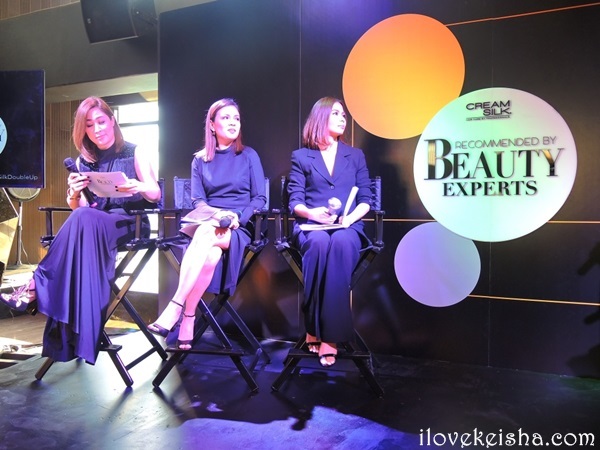 Cream Silk collaborated with four top beauty experts to further inspire millenial women to double up on their beauty. The team of experts are joined by Agoo Bengzon, Peewee Reyes-Isidro, Rissa Mananquil-Trillo, and Raymond Santiago who shared their recommended must-haves and double-up beauty secrets including Cream Silk’s Daily Treatment Conditioner. Agoo Bengzon is a beauty editor for 15 years and one of the fashion and beauty industry’s most-trusted experts. She used to dye her hair in every color you could ever imagine. That’s why she completely knows how important it is to use a product that works twice as hard, like Cream Silk Daily Treatment Conditioner. Aside from having beautiful hair, she shared additional beauty tip – she uses a reliable eyebrow powder and liquid eyebrow liner to create full brows to frame the face whenever she wants to take her look from good to great. Peewee Reyes-Isidro is the Editor-In-Chief of Mega Magazine and has been in the fashion industry for 13 years and counting. Her advice on how to double up your look when someone is wearing the same outfit as yours – just be resourceful and revamp your clothes using accessories that you already have, “Double up your beauty by complementing beautiful hair, with an accessory like a skinny scarf. Tie it around your waist and use it as a belt, or use it as an accent by wearing it like a choker.” So ladies, it’s great to always carry a scarf on your bag for fashion emergencies like this. Rissa Mananquil-Trillo, a former model, mom, beauty columnist, and owner of local makeup brand Happy Skin, and who’s also tagged as the “Girl Boss,” for she is known for being the woman who stays on top of her game, all while looking great. Her insider tip to double up on beauty is to use a lip & cheek mousse that works doubly hard to treat both your lips and cheeks with a long-lasting, velvety color. 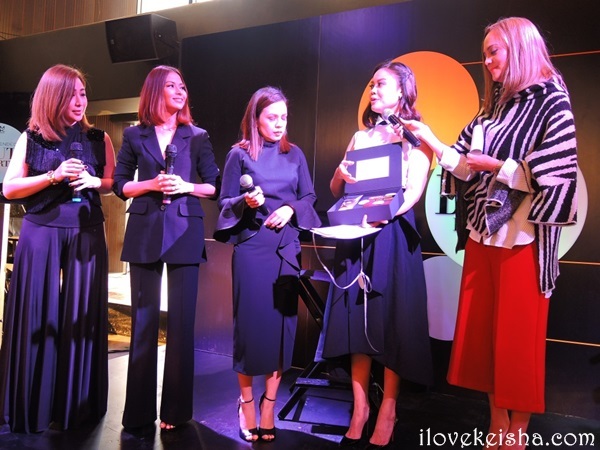 After sharing their insider double up beauty tips, Ms. Cara Favila, Marketing Manager of Creamsilk, showed this black box especially curated by Cream Silk for the media attendees. The box consists of products that are recommended by beauty experts. 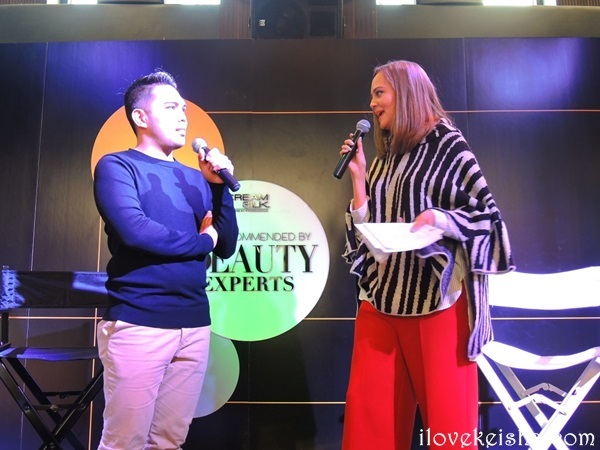 Raymond Santiago, hairstylist to the stars, took the center stage and talked about how Cream Silk Daily Treatment Conditioner works twice as hard to rescue dry hair of celebrities since constant styling causes damage to their hair. He also shared how different hair styles can double up your look. Cream Silk, along with their beauty experts, urge all Filipinas to Double Up their beauty by following simple video tutorials featuring the top beauty and hair experts that will be available for everyone on youtube.com/CreamSilk. Watch out for it. 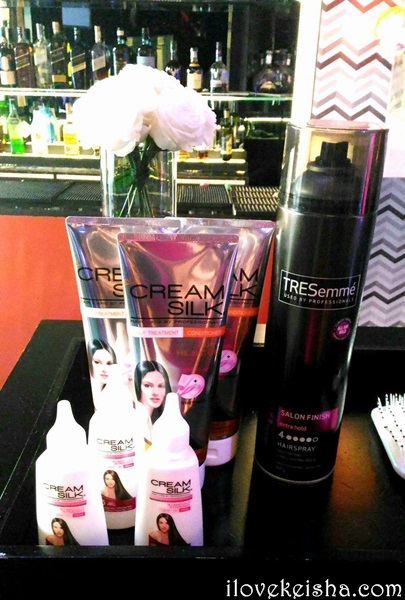 Thank you so much Cream Silk for having me! I’ve been using your Cream Silk Daily Treatment Conditioner Stand-out Straight and Hair Fall Defense plus Cream Silk Leave On Cream for quite a while and all these three did great on my hair. My hair is not dry despite of the frequent hair coloring and blow-drying. I can’t wait to try this Dry Rescue variant. How about you lovelies, share your tip on how you double up on beauty?